Nobel Prize in Physics 2017: Physics Nobel Prize 2017 has been awarded to Rainer Weiss, Barry C. Barish and Kip S. Thorne for their detection of gravitational waves, a development scientists believe could give vital clues to the origins of the universe. 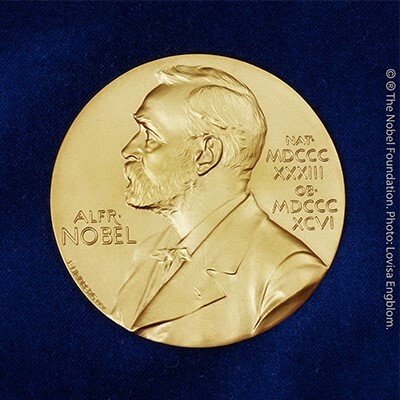 Nobel Prize in Chemistry 2017 : Nobel Prize in Chemistry on 4th October 2017 is awarded to Jacques Dubochet, Joachim Frank and Richard Henderson for the development of cryo-electron microscopy, which both simplifies and improves the imaging of biomolecules. This method has moved biochemistry into a new era. Nobel Prize in Peace 2017: International Campaign to Abolish Nuclear Weapons (ICAN), a coalition of non-governmental organisations from over 100 countries around the globe with its headquarters in Geneva (Switzerland), has been awarded the 2017 Nobel Peace Prize. Nobel Prize in Economic Sciences 2017: University of Chicago professor Richard Thaler won a Nobel Prize in economics on 9th October 2017 for upending the popular notion that individuals make rational choices about their futures and finances and developing policy solutions he believed could fix decision-making foibles.